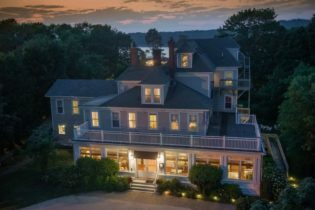 The Acadia Bay Inn Bed & Breakfast invites you to experience breath taking oceanfront views, blissful serenity and unsurpassed attention to detail. Located near Bar Harbor, Schoodic Peninsula and all Acadia National Park locations. We offer 7 beautifully styled rooms with private baths, balconies, breath taking views across Frenchman Bay, sumptuous breakfast and genuinely friendly, attentive service. Enjoy our large great room with comfortable seating, massive stone fireplace, library corner, Victorian dining room and the main dining deck outside. The classic Adirondack chairs on the Oceanside lawn provide a front-row seat to Acadia’s mountains and islands across the bay. Explore our various gardens, stone work and private beach as well. The Acadia Bay Inn is an ideal destination to balance daytime activities in the region with genuine relaxation and quiet, comfortable sleep. We’re close to a wide array of activities, exceptional dining, tennis, kayaking, golf, hiking, cycling, bird watching and the incredible coastal scenery that DownEast Maine offers in abundance. We also host events such as weddings, reunions, retreats, elopements and more. In addition, we offer picnic lunches and fabulous romantic dinners overlooking the bay. All of this and so much more awaits you here at the Acadia Bay Inn. We look forward to making your stay with us amazing! 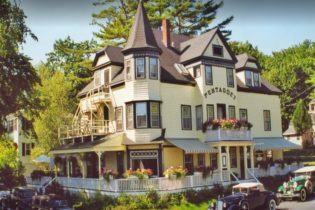 Acadia’s Oceanside Meadows Inn is located in the heart of Downeast Maine in Prospect Harbor, ME. Acadia National Park is just five minutes away – our inn is a perfect setting for your next romantic getaway or Maine adventure. We are located on the Schoodic peninsula which provides guests with views of four of Maine’s beautiful lighthouses. Our hearty breakfasts use ingredients from our mature perennial gardens that are cultivated using organic methods. 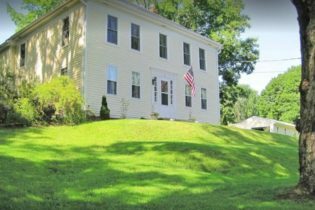 Alewives & Ales Bed & Breakfast is a Federal style home restored and decorated in simple elegance to capture the ambiance of an earlier time. 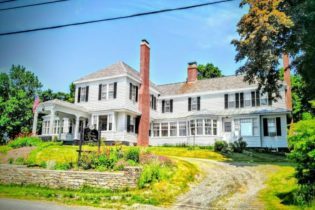 Located in the charming village of Damariscotta,ME it is within walking distance of quaint shops and refreshing restaurants. 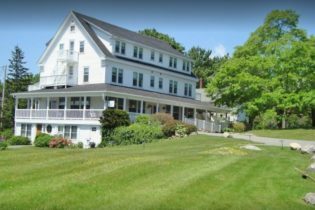 Welcome to the Alewives & Ales Bed & Breakfast in Damariscotta, ME just 20 minutes from Boothbay Harbour. Each of our three guestrooms is named after a ship built in a Damariscotta shipyard during the nineteenth century. All guest accommodations are equipped with wireless Internet service, bathrobes, a hairdryer, clock-radio/CD player and other amenities. All guests have access to a quiet sitting room with a library, desk and gas fireplace; a dining room set up with tables for two with a TV/DVD player, and our convivial dining room. Bar Harbor's premier luxury inn. Gourmet breakfasts and dinners. Elegant, non-fussy decor. Central yet serene location within walking distance of shops, galleries and waterfront activities. Free Wifi and parking. Open May - October. 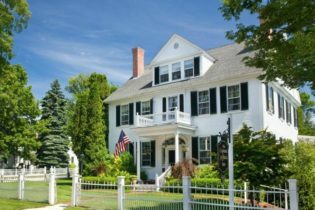 The Bass Cottage Inn Bed & Breakfast is Bar Harbor’s premier luxury inn delivering impeccable hospitality in the heart of Maine. Your king or queen pillow top guest rooms are decorated in a fresh and clean style with a nod to history but without being overwhelmed by Victorian cliches. 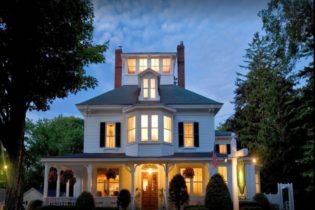 Located in a peaceful enclave minutes from Acadia National Park, Frenchman Bay, fine restaurants and shopping, the inn offers a relaxing atmosphere that is elegant yet casual. Enjoy comfortable accommodations while cuddling by the fireplace in your suite. Relax after an active day in your own whirlpool bath. Read in the library by the fire. Enjoy a game or conversation in our cozy lounge or rock on the front porch, inhale the ocean breeze or do simply nothing. Drift off to sleep in your comfy king or queen sized bed with crisp, fresh linens. Awake gently each morning to enjoy gourmet breakfasts including entrees cooked to order. Savor the intriguing contrasts of a gracious inn that is both old and new. Free parking and WiFi. Open May- October. Member: Diamond Collection of inspected luxury inns. Welcome to Blueberry Fields Bed and Breakfast nestled in Wahington, ME. Central to the property is a 10-acre blueberry field that is cultivated and well-kempt; The inn and cottage are on the edge of the blueberry field. There is also a large sugar-maple grove that we tap for maple sugaring in February and March. 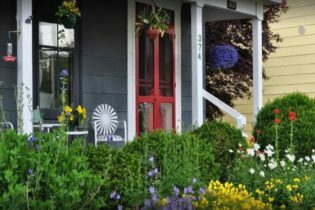 The unique location of Blueberry Fields B&B offers our guests a peace and tranquility that is unmatched in the heart of Washington and just minutes from Camden, Rockland and the state capital of Augusta!. The lovingly hand-built structure, set amidst rolling hills, blueberry fields and wooded trails, creates a bond with nature you will never forget. All of our guests are special and we welcome you into our family! 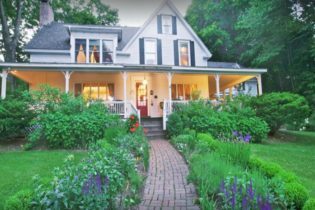 This Bed and Breakfast with five guest rooms was built by its owners, Deb & Cyd Zeigler, over the course of three years. It is of post and beam construction and is warm and welcoming. Each room has a private bath, TV, wireless internet, and private access to the outdoors. Knotty pine welcomes you from the moment you walk through the front door. At the Captain Briggs House Bed & Breakfast, we treat you like family. Our 6 rooms are comfortable, bright, and cheerful. All rooms have private baths and are air-conditioned, non-smoking, and dog- friendly. For your convenience, we have a small refrigerator in the common room and free wireless internet throughout the inn. We’ll start your day off right with a hearty, delicious breakfast. Your Freeport experience offers many attractions: Fine Shops and Restaurants; Wolf’s Neck State Park; Audubon Sanctuary & Trails; L.L. Bean’s Outdoor Discovery Programs (Clay Target Shooting, Canoe & Kayak Lessons, Fly Fishing School); the Desert of Maine; and Golf & Other Sporting Activities. Or spend a day visiting lighthouses and museums or hiking trails in coastal parks. Scenic cruises offer fine opportunities to see Maine’s coastline and wildlife. Enjoy live theater Thursday – Sunday evenings, at the Freeport Factory Stage. 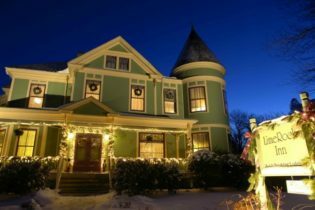 Welcome to Hearthside Bed & Breakfast; a Victorian inn built at the turn of the century located in beautiful Bar Harbor, Maine a ten minute drive to Arcadia National Park. Lots of restuarants, shopping and sights to be seen here on Mount Desert Island...the best place to be! 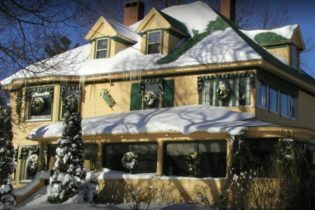 Hearthside is a Victorian Bed and Breakfast, located on a quiet side street in Bar Harbor, Maine. Our elegant guest rooms are cozy and very comfortable, furnished with antique and traditional furniture. Each room has a private bath, ceiling fan and air conditioning. Some rooms offer a fireplace, porch or whirlpool bath tub. There is also free WIFI. We are an easy stroll to Bar Harbor’s many fine shops and restaurants. Acadia National Park is just a few minutes by car or bicycle, where you can hike, bike, canoe or kayak, watch the waves crash against Maine’s rocky coast or see the sun set from Cadillac Mountain. There are so many choices of what activity to do on Mount Desert Island. 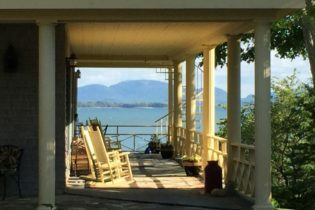 There are whale watching trips and interesting museums, or you can take a day trip to Campobello Island, FDR’s summer home. The choices are endless and we will be happy to assist you and offer ideas. 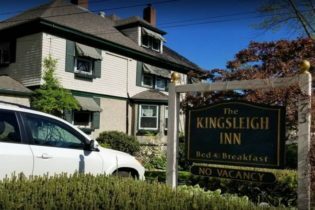 Welcome to the Kingsleigh Inn, a Mount Desert Island Bed & Breakfast offering spectacular water views in the charming fishing village of Southwest Harbor, Maine. We offer a relaxing, casually elegant ambience overlooking the harbor. We cater to all kinds of travelers, from romance seekers to adventurers. 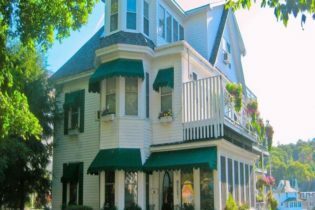 Our 1904 Queen Anne Victorian inn is located on the "Quietside" of the island near Acadia National Park and the Bass Harbor Lighthouse. The area offers an abundance of outdoor activities. We have 8 guest rooms, many with harbor views, some with private decks, and all with individually controlled A/C and heat, ceiling fans and private baths. Each is tastefully decorated with its own distinct personality, charm, and comfort. Colorful coordinating wall coverings, window treatments, and luxurious bedding all blend seamlessly with period furnishings and many thoughtful touches to make you feel welcome and relaxed. Start your day off with our special blend coffee, fresh-ground espresso, and assorted hot teas and cocoas. Our bountiful four-course breakfast is served fireside in our comfortable lounge, and can also be enjoyed in our formal dining room or on our wraparound porch. 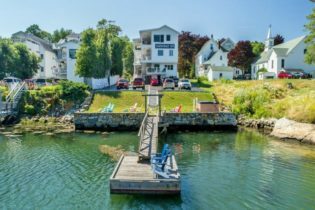 Enjoy gorgeous water views in the heart of mid coast maine at Mount Battie Inn, located in Lincolnville, ME. It’s the home-baked goodies that everyone exclaims over – Enjoy a bounty of moist cakes, muffins, loafs, farm fresh hard-boiled brown eggs, wheat & whole grain toasts, English muffins, oatmeal station, peanut butter,jellies, juice, coffee, tea, hot chocolate & milk. You’ll find your room immaculate, carefully decorated and furnished. The beds are really comfortable, too. Rooms are furnished to accommodate a variety of guest needs. Sleeping configurations are: one king, one queen, one queen with pullout couch, two doubles and two queens. For larger parties, the family-suite contains one king & one queen bedroom, one & one-half baths that sleeps five. The family-suite deluxe sleeps seven and contains two queen bedrooms, two baths, kitchenette, living room & personal furnished back deck. 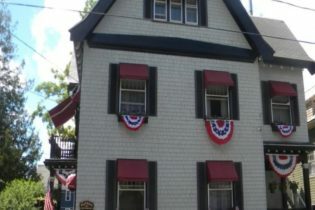 Welcome to the Granite Inn, a beautiful stone building on Main Street overlooking Rockland Harbor. 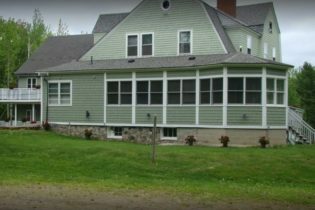 The inn has received Environmental Leader certification from the state of Maine and is both kid- and pet-friendly. 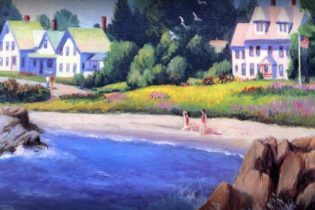 It is within easy walking distance to many of Mid-coast Maine's finest museums, restaurants, stores, galleries, and historic schooner berths. 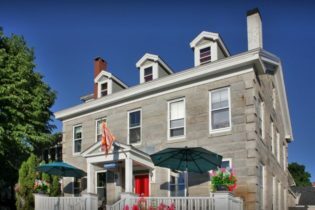 Once serving as the Federal Colonial house built from grey granite in 1840, The Granite Inn Bed & Breakfast in Rockland, Maine is now furnished with an artful counterpoint of genuine antiques and modern pieces. Starting with the extensively renovated dining room and kitchen, the innkeepers strive for elegant simplicity combined with comfort. Beyond the threshold, the public rooms include the Living Room with its fireplace, extensive woodwork, terrazzo floors, comfortable furniture, and lush plants. The bright and airy dining room, accommodating up to 30 people for special occasions, offers a display area for local art and photography. There is also a lounge area with a large television and DVD player, and the popular book swap. 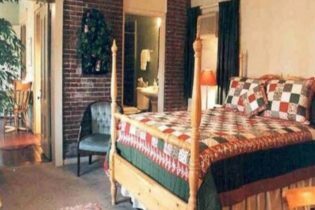 There are eight guest rooms with king, queen, or pairs of twin beds and the highest-quality bedding. 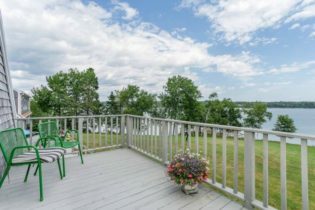 Two rooms on the 2nd floor have a view of Rockland Harbor with its spectacular sunrises. Also on the 2nd floor is our new two-room suite. The suite can accommodate up to a family of four. Cable TV is available upon request. All of the rooms except one have richly appointed private baths. For travelers who can’t be without their email, wireless internet access is available throughout the Inn. Guests are also welcome to request use of the office fax machine. 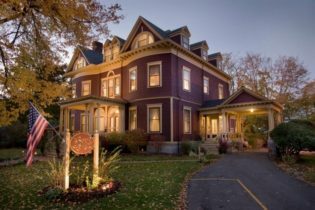 Located along Bar Harbor's historic corridor, The Stone Throw Bed and Breakfast is merely a mile away from downtown Bar Harbor. Take a bike or catch a ride on the local shuttle, the Island Explorer, to visit majestic, Acadia National Park, only a mile away! Welcome to the Stone Throw Cottage nestled in Bar Harbor, Maine. The inn was built in the 1860’s and was lovingly restored in 1995; interior, exterior, and grounds are beautiful and impeccably maintained. 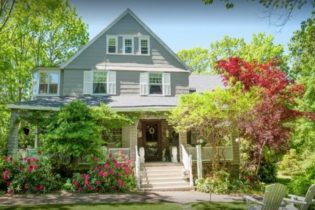 The Stone Throw Cottage Bed and Breakfast is a peaceful, welcoming sanctuary, perfect for your coastal Maine getaway! All of our rooms include a full, delicious breakfast, luxurious linens, a queen or king-size bed, elegant attached baths with whirlpool tubs and showers, air conditioning, and free WiFi. Each room is charming and extremely comfortable. 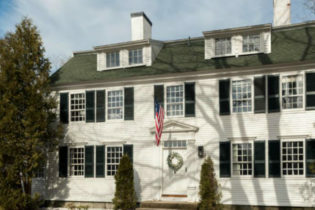 Relax and enjoy the character of a 100 year old New England Inn. This coastal style cedar shake-sided Inn features maple and pine-wood floors, craftsman-style staircase and fireplace, windows and dormers galore, accent decor from the days of Ming Explorers from China, Thomasville furniture and premium bedding. There are 5 Inn rooms located on the second floor. Please note: there is no elevator in the Inn though the first floor is accessible via ramp and includes accessible public restrooms and restaurant. Each room has a private bathroom, color TV, alarm clock, hair dryer, iron, ironing board, and free WIFI. Two rooms include gas fireplaces and two rooms have water-views. Inn rooms include daily breakfast from our 2nd floor pantry** where you can also obtain hot/cold water and coffee/tea as well as snacks throughout the day. Enjoy the view from our deck – rocking chairs provided! Relax and listen to music in Phil’s Lounge or enjoy the fireplace in our guest Living Room (with board games, books, and magazines) and Bar (enjoy soft drinks, wine, or beer while checking your email). The view to Acadia National Park is wonderful! The Inns at Greenleaf Lane are located in Boothbay Harbor, ME. 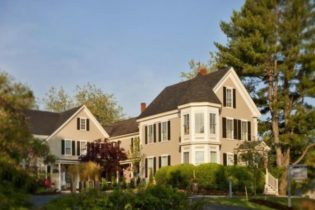 At the inn, we set the standard for bed & breakfasts in Maine and boast an abundance of accommodations and amenities that are unmatched. We have 15 rooms in two portions of the house for guests to choose from. each complimented by a hearty breakfast served each morning. 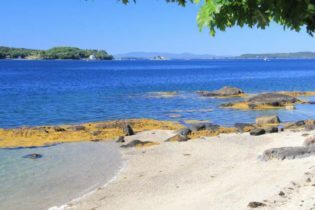 In our area there are a variety of fun activities to enjoy including sailing, kayaking, beaches, coastal Maine botanical gardens, and quiet strolls around town. 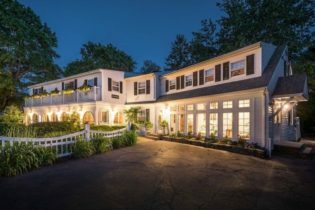 Comprised of both The Greenleaf Inn and The Admiral’s Quarters, these beautifully picturesque and historic buildings run together as one, yet are only separated by the much admired (and coveted!) parking area. 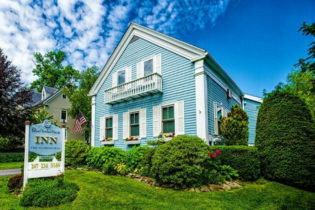 The Inns, both built in the early 1800’s as sea captain’s homes, set the standard for Maine Bed & Breakfasts as well as the larger inns, resorts and hotels. Perched upon a knoll at the edge of the waterfront in downtown Boothbay Harbor. The Inn boast an extraordinary oceanfront location with panoramic views of the inner harbor, outer harbor and beyond. Whether it is lobster boats, schooners, harbor seals, sunrises, sunsets or the smell of the salty sea air, you will find these pure Midcoast Maine surroundings at The Inns at Greenleaf Lane. 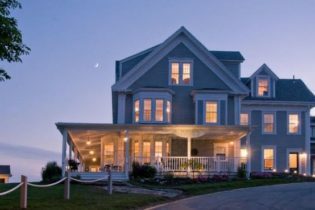 Welcome to our exclusive ocean view home - the Timbercliffe Cottage Bed & Breakfast in Camden, Maine. Enjoy an escape to New England and the grandeur of the spectacular Maine coast. The quaint village of Camden offers an array of outdoor and water activities. We offer 6 luxurious rooms, all with private baths. Our wraparound porch is the perfect place to enjoy a delightful breakfast and enjoy magnificent views of the ocean. 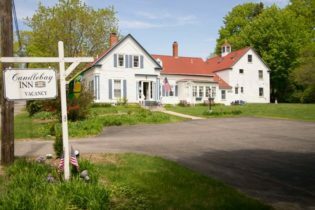 A warm welcome awaits you at Timbercliffe Cottage Bed & Breakfast in Camden, Maine. Nestled on a hillside in the shadow of Mt. 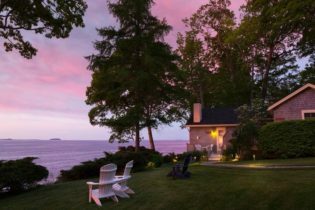 Battie with a view of Penobscot Bay, this historic home offers relaxing accommodations with New England charm for a one-of-a-kind romantic getaway or family retreat. 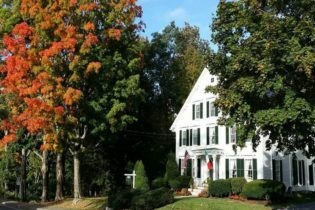 Timbercliffe Cottage Bed & Breakfast has six warm and inviting guest rooms with private baths that boast the best of old-fashioned New England charm along with modern amenities. All rooms have comfortable furnishings and antique decor. 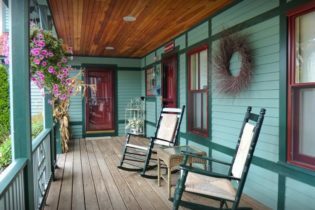 Our wide wraparound porch is the perfect place to begin your day with a delicious breakfast and cup of steaming coffee or to relax in the afternoon with a refreshing drink and a good book. Enjoy the array of water activities nearby the Timbercliffe Cottage Bed & Breakfast. Guests can sail the Penobscot Bay or enjoy hiking and biking along the rocky Maine coast. In the evenings, guests will only be a few minutes from fine restaurants and casual dining options. Ullikana, The Tudor Cottage on the harbor by Frechman Bay! Ullikana is a vacation cottage built in the 1800’s by one of Mount Desert Island’s first summer resident. Enjoy our 11 room luxury bed and breakfast with boutique hotel qualities. Ullikana’s picture perfect location overlooking the Harbor and tucked away at 16 The Field, Bar Harbor, Maine, allows guests to walk to restaurants, shops, and activities. 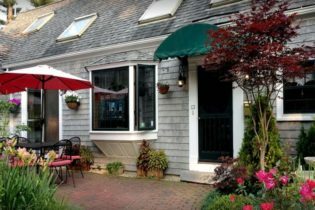 Bar Harbor’s famed shore path is just across the yard and is the perfect place to start your day with a cup of coffee and an easy walk along the shore before breakfast. 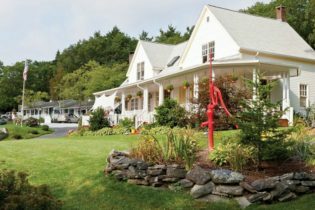 Wolf Cove Inn, a peaceful Bed & Breakfast in Poland, Maine is a romantic get-a-way, nestled on two acres of magnificent scenery on the shores of Tripp Lake. Relaxing and romantic lakeside lodging at its finest. 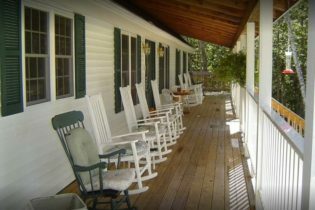 At the Wolf Cove Inn you will feel the beauty and peace of nature envelope you and warm your soul. At the Wolf Cove Inn our goal is to provide a “wow” experience from the moment you arrive, each and every moment of your stay and when you depart.. Come enjoy the peace and beauty of a quaint Maine lake, a soothing sunset paddle with our complimentary water craft, or a quiet lakeside bench with someone special. 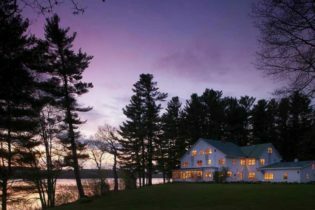 Listen for the songs of the loons and the hypnotic sounds of the lake through your open bedroom window at night. We are your gateway to all the beauty of Maine! And bring Fido too! York is truly an ideal vacation destination in all seasons. Miles of sandy beaches are yours to explore. You can enjoy the popular Long Sands and Short Sands Beaches bustling with activity. Venture to the more secluded Cape Neddick Beach teeming with crabs, starfish and other coastal creatures. Or walk to the secluded and quiet Harbor Beach just steps from the York Harbor Inn. The Old York Historical Society operates a community museum, which includes the oldest jail in America. You’ll find Maine’s largest zoo and amusement park in the heart of York Beach, and on a clear day you can see miles of scenic coast from the top of Mount Agamenticus. No trip to York is complete without a visit to Nubble Lighthouse, perhaps the most beautiful, and most photographed, lighthouse in America. 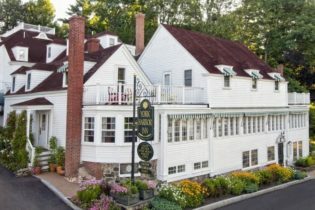 The York Harbor Inn offers 54 guest rooms, all with air-conditioning and private baths. Guests can choose from several fine accommodations. In the Main Inn we have 23 Guest rooms including several luxury units with ocean view decks, fireplaces and/or Jacuzzi spa tubs. We also have smaller, double bed rooms nicely decorated and furnished to fit any budget. Just 20 feet from the Main Inn, in the Yorkshire Building (sometimes referred to as “The Carriage House”) we have 11 guest rooms, 6 of which have at least a partial ocean view. This building also contains our “3 Room Suite” which is one of our largest guest rooms and perfect for Bridal parties. 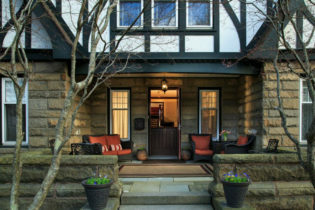 Adjacent to the Yorkshire Building is our luxurious Harbor Hill Inn with seven luxury guestrooms. All Harbor Hill rooms include a king bed, a gas stove fireplace, a spa tub (one does not, it has a handicap bath, no spa), heated tiled bathroom floors, Internet access via a dataport and full or partial ocean view. 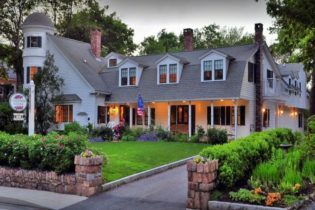 On the other side of the Main Inn is the Harbor Cliffs Bed & Breakfast. This building features elegant rooms with a queen or king bed. Amenities range from standard to superior depending upon the room type. Many Harbor Cliffs rooms offer outstanding ocean views, fireplaces and/or Jacuzzi spas. Some rooms have private decks.